Niall Toner Releases "Working On Love"
Niall Toner formed his Acoustic String Band in 2001, and since that time they have released four all-original Albums, and toured all over the World. Last October, Niall returned from Nashville, Tennessee, where he recorded album number five, titled Working on Love, another all-original project. This latest project is comprised of many love songs and tunes inspired by life in the foothills of the Blackstairs Mountains of County Carlow. Appropriately released on St.Valentine's Day, 2015. Read more about Niall Toner Releases "Working On Love"
Our friend across the pond, Niall Toner, has released a fun new video July 10th, "Million Dollar Bill" from the 8th track on the album Onwards & Upwards released in 2012. The album marked a musical milestone for Toner. This was Toner's first release on the internationally famous Pinecastle Record label and featured the great talents of artists like Keith Sewell (who also serves as the producer, Ashby Frank, Rob Ickes, Viktor Krauss, and of course Niall. Jonesborough, TN -- The Historic Jonesborough Bluegrass Series will present an award-winning evening of bluegrass music on October 20th when The Boxcars and Junior Sisk and Ramblers Choice visit the concert series. 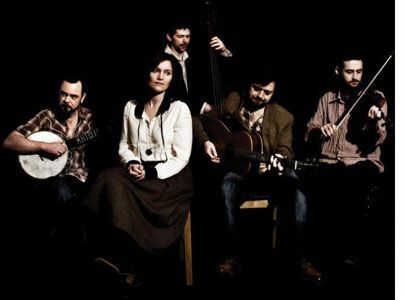 Joining The Boxcars and Junior Sisk and Ramblers Choice will be Lorraine Jordan and Carolina Road, The Moore Brothers, and Niall Toner. Produced by Mountain Music Entertainment and nestled in Tennessee's oldest town, the Historic Jonesborough Bluegrass Series is looking forward to bringing another concert featuring top-notch entertainment to the East Tennessee region. This performance will conclude the 2012 series season. Niall Toner Releases New Single "Judge and Jury"
Pinecastle Records is releasing a single from the upcoming Niall Toner album, Nail by Nail, set for release on October 30th, 2012. The single, "Judge and Jury," plays, according to Toner, "with the idea of someone facing execution because he can't tell the truth about his alibi without incriminating another innocent party." The full album will be available for radio in the coming weeks and we hope that your listeners enjoy the early release of "Judge and Jury." 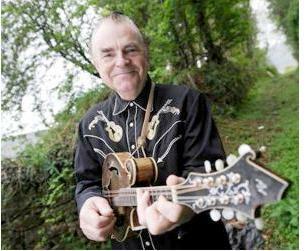 Read more about Niall Toner Releases New Single "Judge and Jury"
Marion, VA- The legendary Chuck Wagon Gang will appear on Song of the Mountains at the Lincoln Theatre in Marion, Virginia on Saturday, October 6th. “We are very excited to have the Chuck Wagon Gang on our show again”, says Tim White the host of the award winning concert series which is broadcast across the United States on over 190 public television outlets. 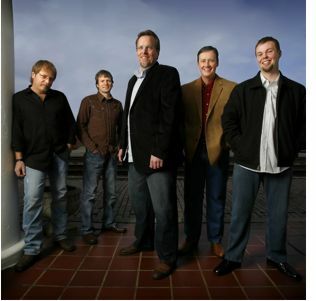 “This will make their second appearance on our show and they are an institution in American Gospel Music” states White. Music from the Blackstairs Mountains of Ireland hits the air waves with the release of Onwards & Upwards on Pinecastle Records. Niall Toner is an acoustic Irish flavored artist with Celtic influences whose diverse repertoire ranges from contemporary up-tempo songs and tunes to inspirational gospel-style numbers, as well as tributes to Bill Monroe the father of bluegrass music like "The Master's Resting Place" and "Bill Monroe's Mandolin." Nashville, TN -- I Draw Slow and Niall Toner, both musical acts from Ireland, bring their music to America this Fall for a two week tour. Call it the “Irish Acoustic Music Invasion” if you would like to label it or simply call it good music from Ireland teaming up with some of the best bluegrass and acoustic artists in the United States. Each of the Irish acts bring their respective talents in songwriting and musicianship to a Fall Tour that will place them with many great artists in some of America’s top venues. The tour will extend over a several weeks outing that kicks off during the International Bluegrass Music Association World of Bluegrass event. The Irish Acoustic Music Invasion culminates for each at different points with I Draw Slow wrapping up at a festival in South Carolina sharing the stage with some of the best in Americana. Niall Toner is an acoustic Irish flavored artist with Celtic influences whose diverse repertoire ranges from contemporary up-tempo songs and tunes to inspirational gospel-style numbers, as well as tributes to Bill Monroe the father of bluegrass music like "The Master's Resting Place" and "Bill Monroe's Mandolin." Irish songwriter and performing artist, Niall Toner is #1 on the Airplay Direct Global Indicator Charts hitting the all-time record of most radio downloads on the Bluegrass/Folk chart. The hot new single from Niall Toner, "Tomorrow" from the up-coming new CD album on Pinecastle Records has been made available for radio. Niall signed with Pinecastle at the first of the year. "Tomorrow" is one track that will be a new album of original material, due in the fall of 2012. The date is expected to be in conjunction with another U.S. tour. 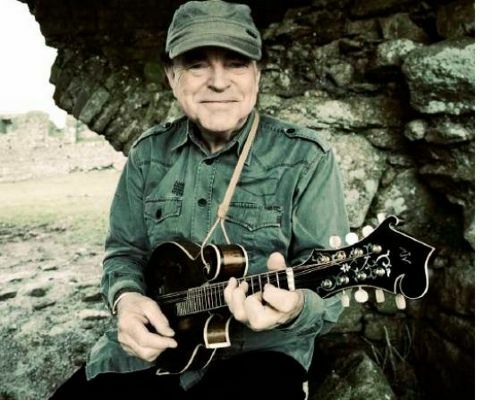 Niall's most recent release in the U.S. was The Sounds of the Blackstairs Mountains, featuring his tribute to the father of bluegrass music, "William Smith Monroe," which is still receiving extensive airplay on bluegrass radio. 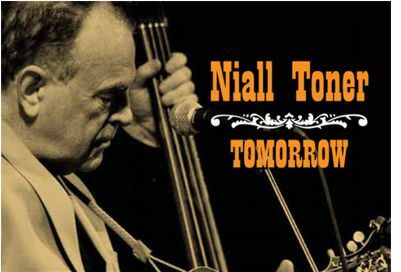 The brand new single release from the Niall Toner Band is "Tomorrow." This is a follow up to the very successful original tribute song "William Smith Monroe" about the Father Of Bluegrass. WSM is also included with Rhonda Vincent and Ricky Skaggs on New Cuts Of Bluegrass Volume 3. Today is the first single off the upcoming record Onwards and Upwards that will be released from Pinecastle in Fall of 2012. Look for more music soon. Award-winning Irish songwriter and bluegrass music artist, Niall Toner, is pleased to announce the new single, "Tomorrow," is now available to radio stations on Airplay Direct. The song is from his upcoming album, Onwards and Upwards, set for release on Pinecastle Records in the fall of 2012 in conjunction with The Niall Toner Band's U.S. tour.